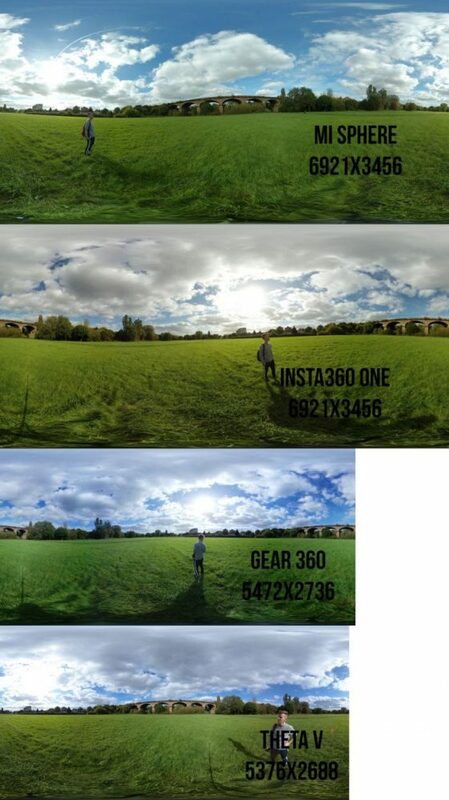 Home » 360° Camera Guides » Which 360 Camera is best for Photography? A question I get asked a lot is “which is the best 360 camera if I only want to take photos“. It’s a valid question, because when most people review and judge 360 cameras they tend to focus on video and don’t pay much attention to the 360 photo capabilities. There are plenty of people with no interest in shooting 360 video but want an easy to use all in one solution for shooting high quality 360 images. Until recently the only way to create 360 images was to use a DSLR and panoramic tripod head to take multiple photos and stitch them together manually. This results in very high quality panoramic images, but takes a long time and the cost of the equipment is high. The cameras I’m going to show you won’t be able to match up to the quality of a DSLR, but in some cases they come close and are way easier to use. The cameras I’m going to be looking at today are the Samsung Gear 360, the Ricoh Theta V, Xiaomi Mijia Mi Sphere and the Insta360 One. I chose these specific cameras because they have all been vying for the position of “best 360 camera” at some stage and all of them have manual photo controls. In my first comparison I took each camera out to a largely empty field and took a single 360 photo using tripod in the same location. I chose to test in this way so that there was minimal interference from objects or people. I’ve combined the resulting photo from each camera into a single 360 image which you can see below. The changes in color between each camera is quite apparent, however the Mi Sphere represents the closest to reality. 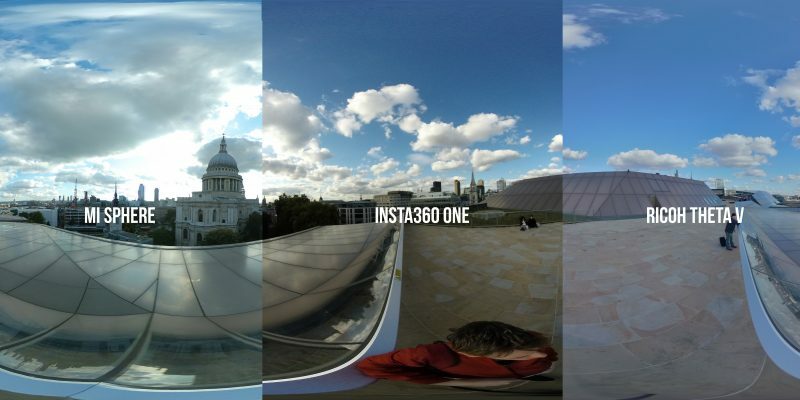 The Insta360 One, while taking a very sharp image, seems to add a warm hue to the image. The Gear 360 is noticeably worse that any of the other cameras. Objects close up and far away appear blurred and the whole image looks very very quality. This may be due to the low 15 megapixel resolution, however I think it’s more to do with lenses used in this camera, which are cheap and basic. The Ricoh Theta V, which shoots at an even lower resolution, actually takes a very good photo here. The colors and details are on point and there’s little blurriness. The Theta V uses more advanced lens technology and you can see this goes a long way, however the camera is somewhat limited by a lack of pixels. The image below features each of the 4 photos used to make the comparison in their flat, non 360 format. I’ve labeled each one with the camera and resolution. The images have been made small enough to fit on this page but the size difference remains to scale. As you can see the size difference between the Mi Sphere/Insta360 One and Theta V/Gear 360 is quite large. Megapixels are important for 360 photos because the image has to wrap all the way around you, so the more pixels the better. But that’s just one consideration, the quality of the lenses and the manual options available are also an important factor to consider. I’m going to remove the Samsung Gear 360 from the running at this point, because it not only lacks sufficient resolution, it also uses basic lenses and has fewer options for manual control. It’s a very cheap camera and shoot 4K video, which is great, but for photos it doesn’t really hold up. Lets take a look at another flat photo comparison in a different (and more interesting) location. These images were take with the three remaining cameras at the same time and location. I’ve taken a third of each camera and combined them into one panorama so you can see the differences. All three cameras do a great job, but we end up with very different looking images. The Mi Sphere is again the most accurate to reality and the Insta360 One is the sharpest, but a little off with the coloring. The Theta V image looks very attractive but there is a lack of detailing in the far away objects, probably due to the lower resolution. I took each of the above images and created a 100% crop of each one. This allows us to clearly see how good each camera is at captuturing details. Each camera actually does very well and I think most people would be happy with any of these, but there are some subtle differences. The Ricoh Theta V, despite compensating for poor resolution with excellent lenses, struggles to keep as much detail when zoomed in this close. Everything looks a bit blue and there’s a slight blurriness to the whole image. The camera handles light better than the other two and has excellent dynamic range but I don’t think this quite makes up for a blurry image. 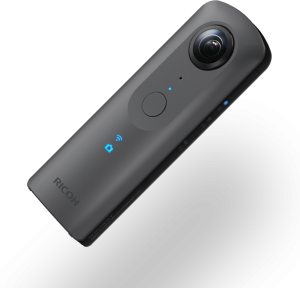 The Ricoh Theta V is a big upgrade from its predecessor and it’s 360 video capabilities excellent, but for some reason Ricoh decided not to upgrade the resolution of its lenses. I think if they had done so the Theta V would be the best 360 camera for photography, but at this stage I’l going to eliminate it as the remaining two can shoot at much higher resolutions and keep those all important details looking sharp. 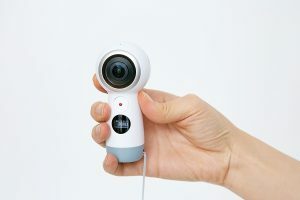 Xiaomi Mijia Mi Sphere or Insta360 One? So it’s down to these final two cameras, let’s take a look at some photos shot with each of them. These two images, while not shot at the same location, indicate the primary difference between the two cameras. Both of these can shoot large 23 megapixel photos that look great most of the time, however the Insta360 One suffers from a noise issue at lower light levels. In areas of darkness, or when there isn’t much light in general, the Insta360 One creates photos with a lot of grain and noise, which ruins an otherwise good shot. The Mi Sphere doesn’t seem to suffer from the same issue and can shoot mostly smooth and clear images at low light. There is also the issue of color grading. 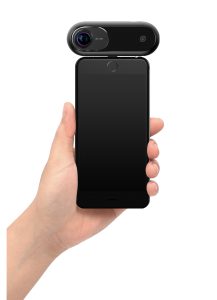 The Insta360 one seems to constantly produce photos that are on the warmer end of the color scale and no setting seems to change this. One advantage the Insta360 One does have is that it can shoot RAW photos, allowing you to adjust the colors yourself without losing quality, still, it would be better if it got it right in automatic mode! 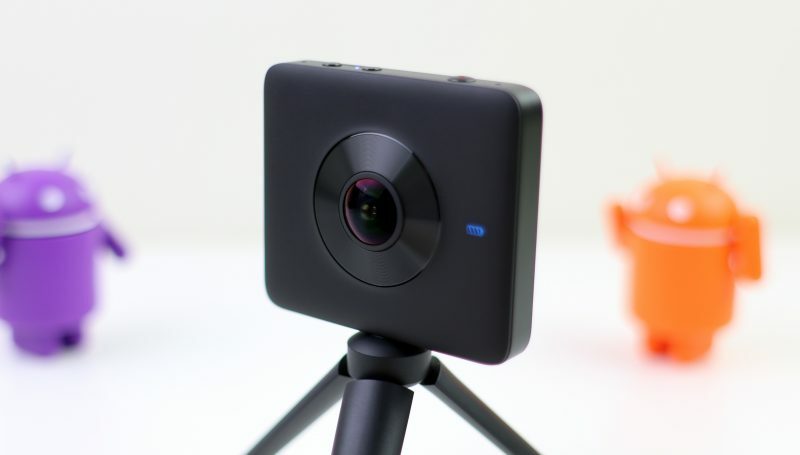 After considering all the features and having examined any side by side comparisons from both camera, I’m going to declare that the Xiaomi Mijia Mi Sphere is the best 360 camera for photos. Why? It consistently shoots sharp, clear images at a high enough resolution to not look blurred in the 360 format. In handles light well and have a range of full manual controls. 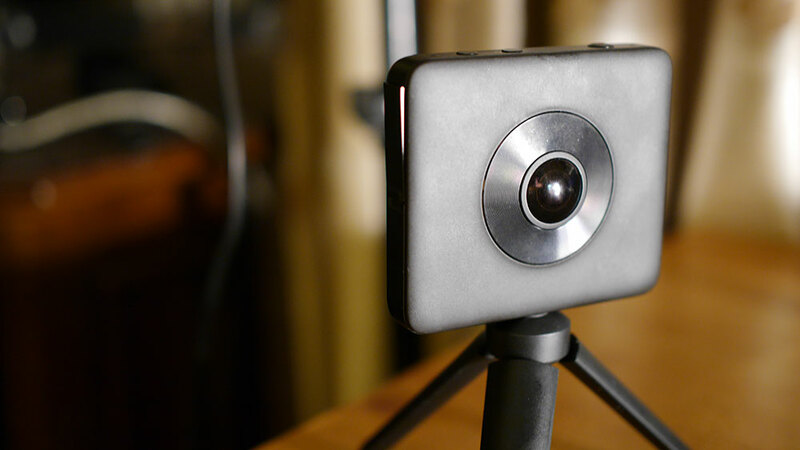 The best thing about it is that it’s one of the cheapest 360 cameras around! At just over $200 this really is a bargain. So if you are looking for a 360 camera primarily for taking photos, I’d recommend the Mijia Mi Sphere. The best 360 camera for photography available only on Gearbest.com. Ships to over 200 countries. Hello, wondering thoughts on the best 360 camera (video would be great too but not necessary) under $1,000 USD. Would you rate the Garmin Virb better from a photo vs the Mi Sphere? My main interest is in focus. So many of these cameras get blurry on me and I’m about to buy another. Your advise is appreciated. Love the YouTube channel and I appreciate your information on 360 tech. Hi That is a really great article to compare still 360’s which is my only interest not video.Could you just go a bit further as I am particularly interested in the best still 360 camera for use in propertyor real estate type interior images for use in building virtual tours. How much difference is there really these days between dslr and the new 360 cameras for this sort of use. Helpful article! I actually prefer the warmer tones of the Insta 360 One, but that’s just a personal preference. I am anxiously waiting for Xiaomi to add raw files to their next camera. Then I’ll finally get a better 360 (at this price point). What about Samsung gear 360 2016? It has better resolution. But I cannot compare it with Mi Sphere. Thanks for the excellent review. I’m thinking about getting a cam for Mapillary. With respect to the poor quality of the Gear I want to add that in contrast to regular cameras image resolution and sensor resolution are different for 360 cameras. The gear has a 2×8.4MP (16.8MP) sensor and a 15MP photo resolution. The Theta has also a 15MP photo resolution but a 2x12MP (25MP) sensor. Because the distorted raw-fisheye-image has probably to be rectified the over-resolution helps improving the quality by offering more points for resampling. Great review – thanks for taking the time an sharing your experience. I think I’m going with the insta360 because it seems to have really strong support and works great with iOS tethered with bluetooth. A few items -the Mi is now priced at $299 everywhere I have looked – so now the same price point at the Insta360. In reference to the Ricoh you stated: “Ricoh decided not to upgrade the resolution of its lenses”. I’m confused by this statement. Lenses don’t have resolution – the image sensor has resolution based on the sensor size. Lenses can impact sharpness, distortion etc but don’t have impact on resolution in terms of image size/MP/ or pixels per unit of area. Did you just mean that they didn’t upgrade to higher quality lenses? What are your thoughts on the original Gear 360 for stills? It seems to have the highest pixel count of all the cameras tested at 30MP. Have you compared it to the others? Thoughts on color reproduction, range, etc?